The first beta of Postgres 9.6, which features parallel scans and joins, is here. Whether you’re looking to try out the new features or just test for bugs and quality issues, give it a try today. Postgres is quite intelligent about keeping your frequently accessed data cached. If you’re not already convinced of that, give this a read and appreciate all that Postgres does for you. 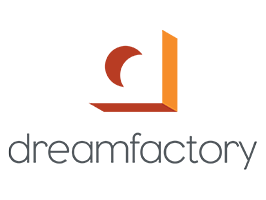 DreamFactory auto-generates APIs and enables data and service bundling across multiple servers and DBs. Supports V8js, Node.js, PHP, and Python for custom scripting. This release fixes issues reported over the last two months. You should plan to upgrade at the next available downtime, unless you’ve been affected directly by the fixed issues. A simple example of some low-level hacking on the Postgres source code. Pgsync is a handy utility inspired by Heroku’s pgtransfer for copying data from your production DB to a local instance. It also includes some handy functionality for cleansing data. PG Conf Silicon Valley is happening again this year in November so save the dates (Nov 14-16). If you have something interesting to say about Postgres, they’d love to hear from you. While only a small number of people are core committers, there’s a broader set of people benefiting Postgres who you may not know. In the first unsung hero award take a look at how David G. Johnston helps contribute and some of his views. Need to deploy geographically distributed multi-master PostgreSQL clusters? Try Bi-Directional Replication (BDR) for free.